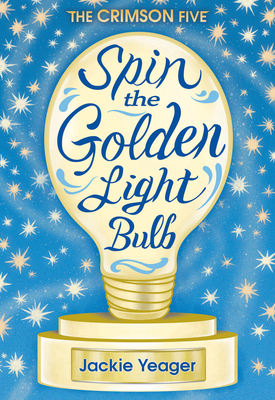 It’s the year 2071 and eleven year-old Kia Krumpet is determined to build her 67 inventions, but she won't have the opportunity to unless she earns a spot at PIPS, the Piedmont Inventor’s Prep School. Kia, who has trouble making friends at school, has dreamed of winning the Piedmont Challenge and attending PIPS ever since she learned that her Grandma Kitty won the very first Piedmont Challenge. After she and four of her classmates are selected to compete for a spot at PIPS, they travel by aero-bus to Camp Piedmont to solve a task against forty-nine other state teams to earn their place at the best inventor's school in the country. Jackie Yeager is a middle grade author whose stories inspire children to think more, work hard, and dream big. She holds a Master’s degree in Education and spent several years coaching Odyssey of the Mind, where her team once-upon-a-time competed at the World Finals. She lives in Rochester, NY with her real life prince charming and two royally amazing teens. When she’s not writing imaginative middle grade fiction or living in her own fairly-tale world, she can be found conducting creative problem solving/writing workshops for kids and blogging at www.swirlandspark.com. You can also connect with her on Twitter, Facebook, and Instagram.